Three more men have been arrested for the murder of two Scandinavian women in Africa's Atlas Mountains, as authorities are now investigating the attack as a possible “terrorist” act. The bodies of Louisa Vesterager Jespersen, 24, and Maren Ueland, 28, from Denmark and Norway, respectively, were discovered in the Atlas Mountains on Monday. Authorities arrested a man named Khayali Abderrahmane in Marrakesh on suspicion of murder. 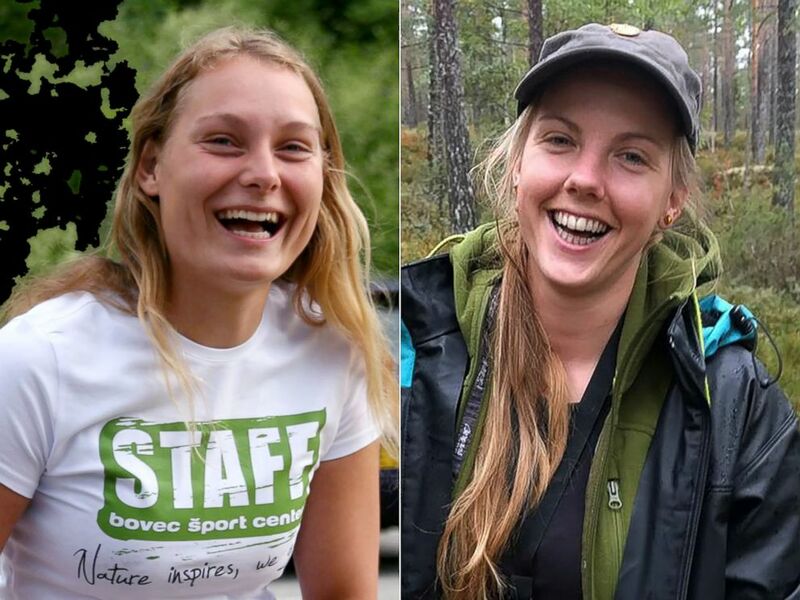 Louisa Vesterager Jespersen, left, and Maren Ueland, right, the two Scandinavian women found dead while trekking in southern Morocco. An anonymous source at the Moroccan Central Office of Judicial Research (BCIJ) told ABC News that three more suspects have now been arrested. The men, named by the BCIJ as Abdessamad Ejjoud, Younes Ouaziad and Rachid El Afati, had been on the run but were arrested after being identified by CCTV cameras. The source said that Abderrahmane, the main suspect, was affiliated with Daesh, also known as Islamic State. A video allegedly depicting the murder of one of the women was shared on social media. In it, one of the masked attackers says in classic Arabic, "This is for our brothers of Hajin," the source, who said they had seen the video, told ABC News. Hajin is a city in eastern Syria. It was the last urban stronghold of Islamic State extremists in Syria until it was recaptured by Syrian Democratic Forces last week, according to The Guardian. The source said that the video then showed the woman being beheaded. The video has not yet been authenticated, but this was confirmed to ABC News by the Rabat Public Prosecutor’s office. 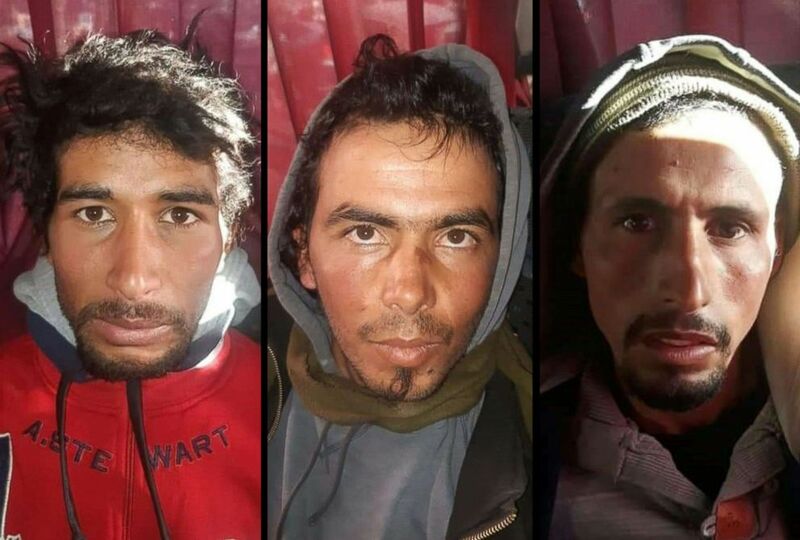 This combination image shows, from left, Rachid Afatti, Ouziad Younes, and Ejjoud Abdessamad, the three suspects in the murder of two Scandinavian hikers whose bodies were found at a camp in Morocco's High Atlas mountains, following their arrest. Danish security services are in possession of the video and are currently analyzing its authenticity. “The Danish authorities remain in close contact with the Moroccan authorities on this matter,” they added. Four long knives, one of which still had traces of blood, a small prayer book, stones and a slingshot and three mobile phones have been taken in as evidence, the source at BCIJ said. The items were found on the bus the suspects were traveling on when they were arrested. 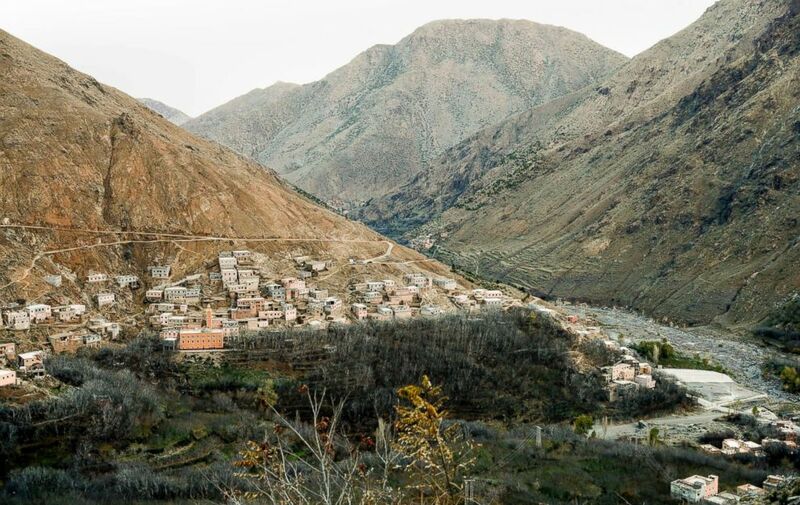 The remote village of Imlil nestled on the slopes of the Atlas mountains in Morocco, Dec. 20, 2018, about six miles from the spot where the bodies of two Scandinavian women were found. The University of Sørøst-Norge posted that two of their students had died in Morocco on Monday, though they did not name Jespersen or Ueland. The university set its flags to half-mast in order to mourn the pair, it announced on twitter.